found objects can be turned into unique and kitschy lighting fixtures. to make the bottoms 'electrical hardware friendly'. using several different wiring configurations. clear hand made vessel. shown with 'vintage style' 40 watt bulb. pendant light using hard pipe down hanger. multi-colored glass with metallic glitter and white glass lining. turquoise hand made vessel. 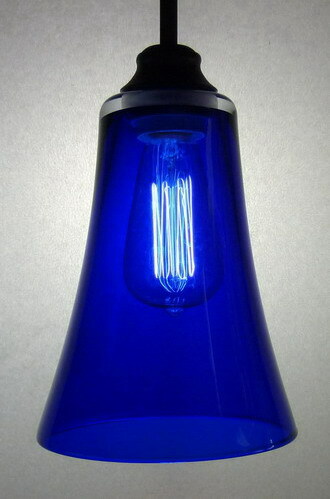 shown with 'aquarium style' bulb. cobalt blue hand made vessel. 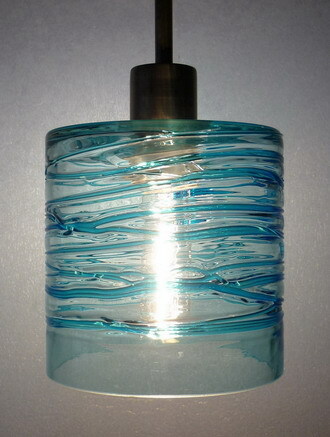 shown with 'aquarium style' bulb. 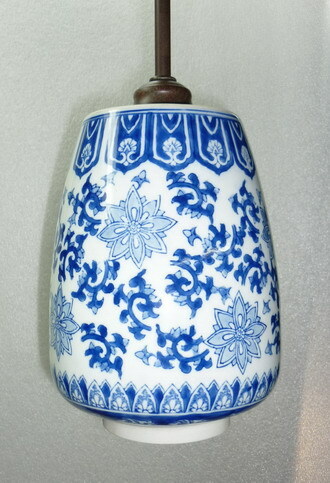 cobalt blue vase. shown with 'vintage style' 40 watt bulb. hard pipe drop hanger. 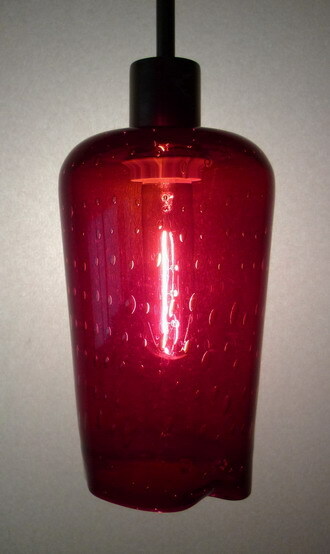 funky red seedy vase with semi-collapsed opening. 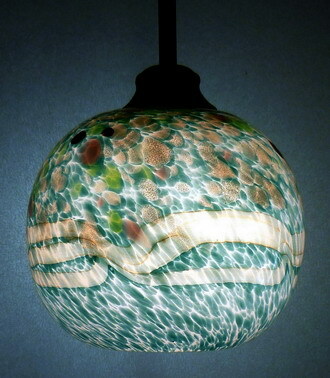 shown with 'aquarium style' bulb. 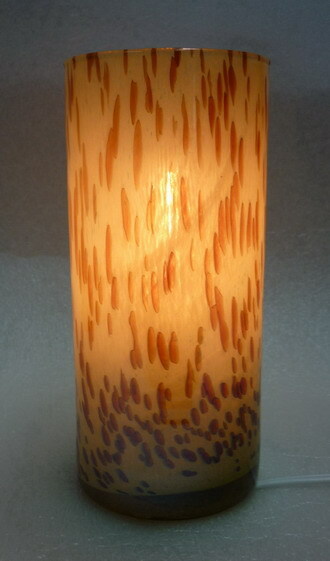 table lamp made from honey amber vase. solid white urn container. engraving wheel carved floral design ornaments the clear glass, 11" x 5.5". shown with 'vintage style' 40 watt bulb. 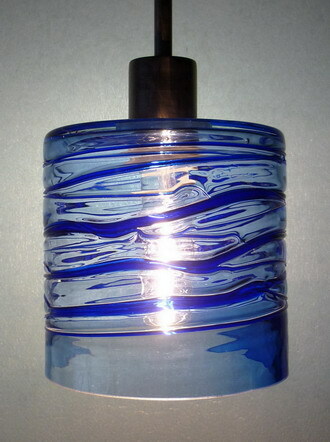 cobalt blue vase, 11" x 6". shown with 'vintage style' 40 watt bulb. hard pipe drop hanger. 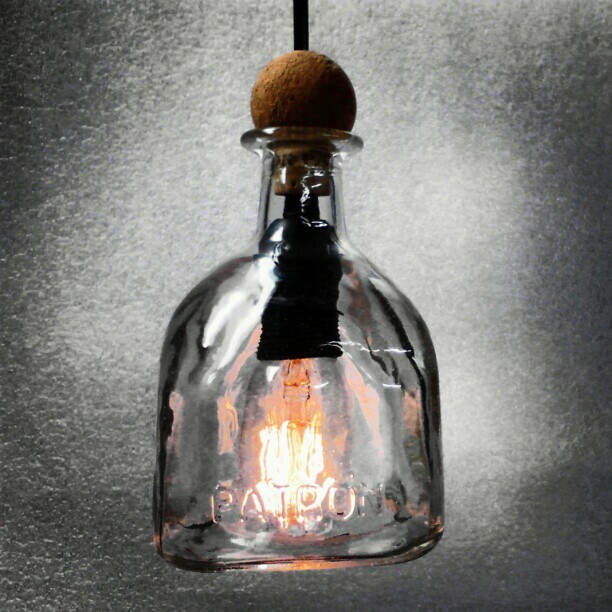 'patron' tequila bottle with short old style vintage light bulb. wire drop hanger. 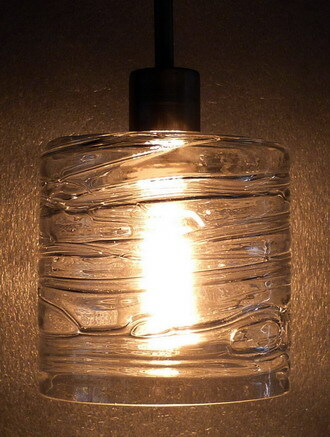 wine bottle pendant lights using donated bottles. for sale. now you can go green, reuse, and recycle your fond liquid memories. please do. especially those blue ones. 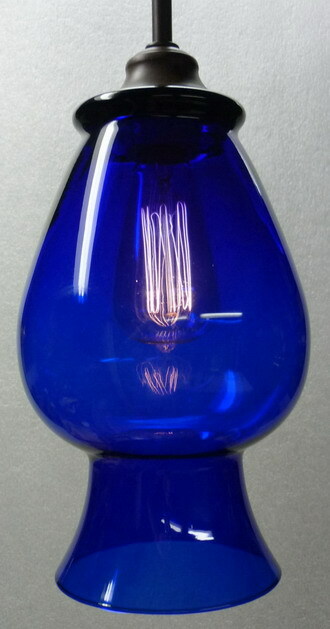 shown with 'vintage style' bulb. 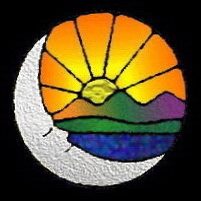 shown with clear 'aquarium' bulb.